Dairy Art Centre announces American artist Julian Schnabel?s first major solo exhibition of paintings in the UK for nearly 15 years. The exhibition brings together new and rarely seen works created within the last two decades. 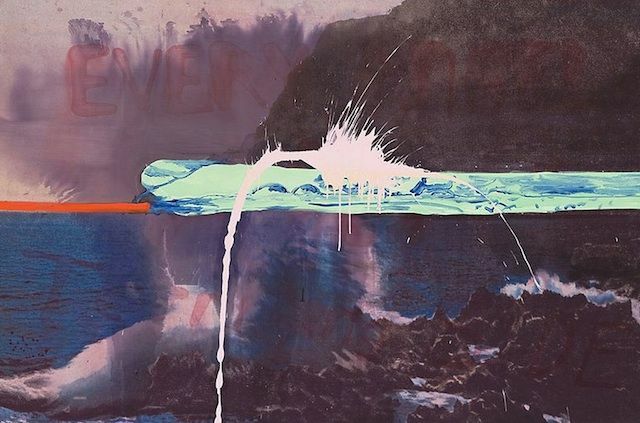 Now known as much for his critically acclaimed films as for his art, this exhibition is both a re-evaluation and a celebration of Julian Schnabel the painter ? his primary occupation. As an artist Schnabel has invented new boundaries and categories of what a painting can be. His work is both abstract and figurative, often manifesting both characteristics simultaneously. His series explore a wide range of subject matter and visual motifs, and for his exhibition at Dairy Art Centre, works being displayed will examine themes of ?The Painter and the Painting,? and ?Spirituality and the Sublime.? These will be contrasted with other works shown in series that incorporate oriental imagery, expressive abstraction and portraits of the artist. At every point within the exhibition, the enormous depth of Julian Schnabel?s visual imagination will challenge the possibility of what painting might be. Since Schnabel?s emergence as a young artist in the 1980s, he has attracted controversy and acclaim in equal measure. His uncompromising stance as a painter and sculptor catapulted him to fame and paved the way for of the new wave of painting that took place in the 1980s, establishing him as an unstoppable creative presence both internationally and at home. Since that time his critical reputation has continued to grow, and over the past twenty years he has emerged as a renowned filmmaker. He has brought to films, such as the award winning ?Before Night Falls? and ?The Diving Bell and the Butterfly?, the visual sensitivity of the artist and a psychological depth that is inherent in all his work no matter what the medium. ?This exhibition is a celebration of the artist?s primary and beloved medium of painting, and we are honoured to dedicate the show to Schnabel?s recent and lesser-known body of works spanning the two decades. Widely recognised as a modern day Renaissance man, incorporating painting, architecture, sculpture, film and photography into his oeuvre, Schnabel has gained a cult following amongst a generation of young artists and filmmakers alike. ?